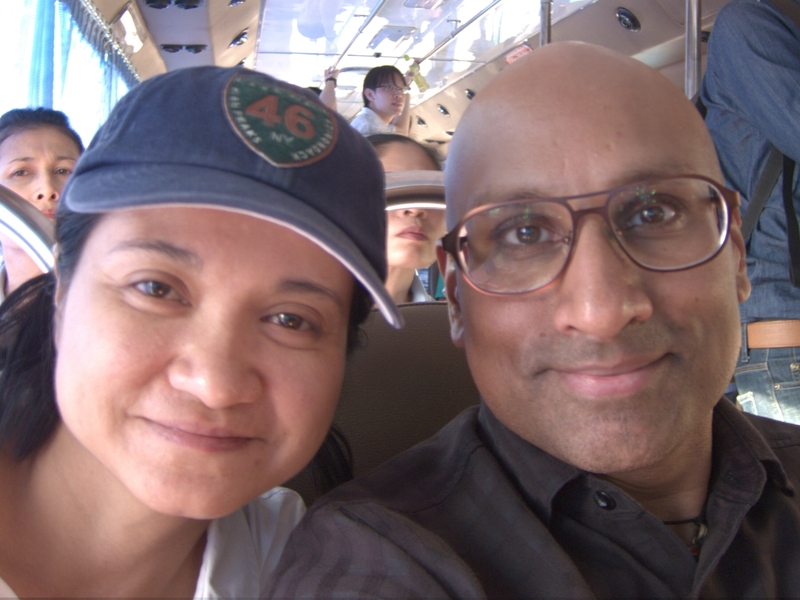 Prior to arriving in Thailand I contacted my friend Toi, a Thai native I had met in New York City who was now residing in Bangkok. She offered to be my guide for a day in Bangkok, and I happily accepted. 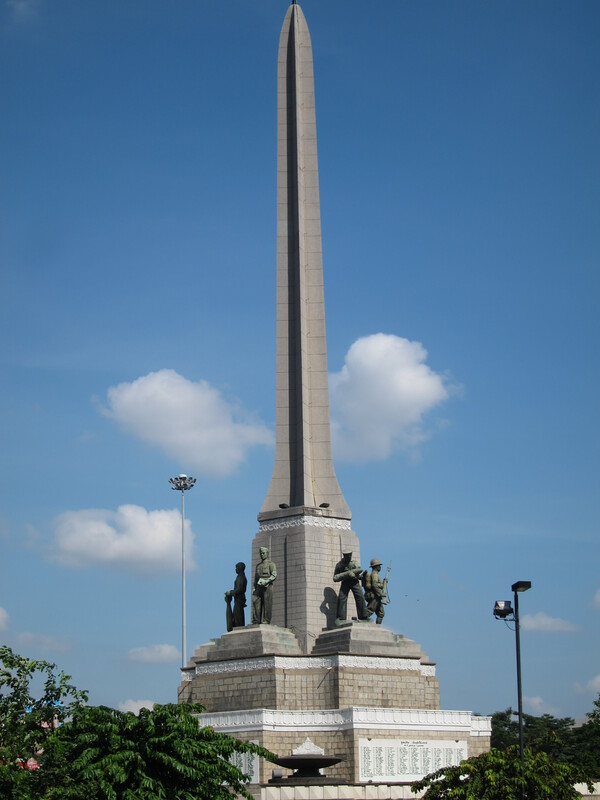 We took “Bus 166” from this thing called the Victory Monument. We used “intermodal transport” — Skytrain, taxi, bus — to reach Ko Kret, an island north of Bangkok that was created by dredging a canal in a bend in the Chao Phraya River. After having a peek at a Buddhist wat, we walked the path on the periphery of the island, a route of several kilometers. A portion of the path was lined with vendors selling souvenirs and food. Other than the wat and the market, it seemed the island was mostly a rustic village. We stopped to have lunch at a small restaurant situated in a wooden structure perched off the canal. As the menu was entirely in Thai and the staff did not speak much English, I relied on Toi to order for both of us. Ko Kret has a large settlement of Mon people, who have been in Thailand for over a millennium. 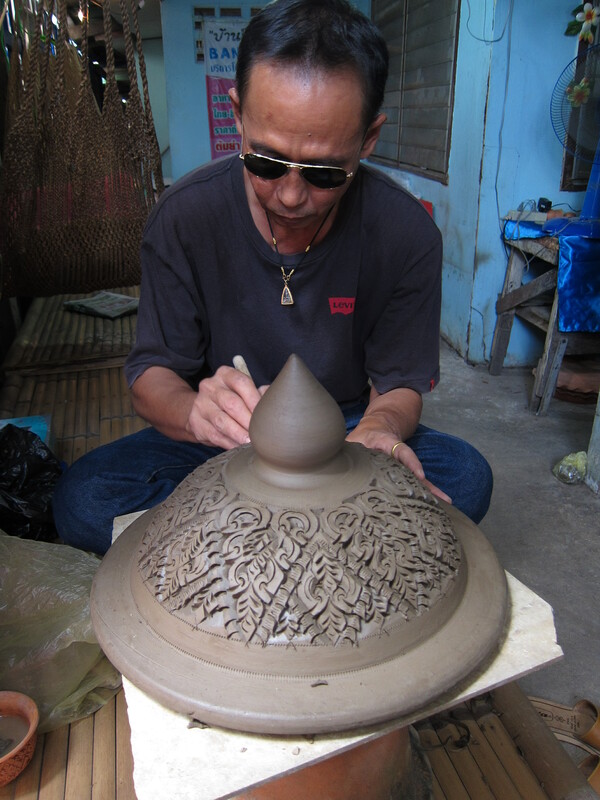 The Mon create a kind of unglazed pottery known as “kwan arman” and there are many kilns on the island. I was grateful to Toi for guiding me on an excursion I would not have been able to manage on my own, due to the language barrier and my general unfamiliarity with the geography of Bangkok and its surrounding area. On the bus with Toi: My Friend & Tour Guide!